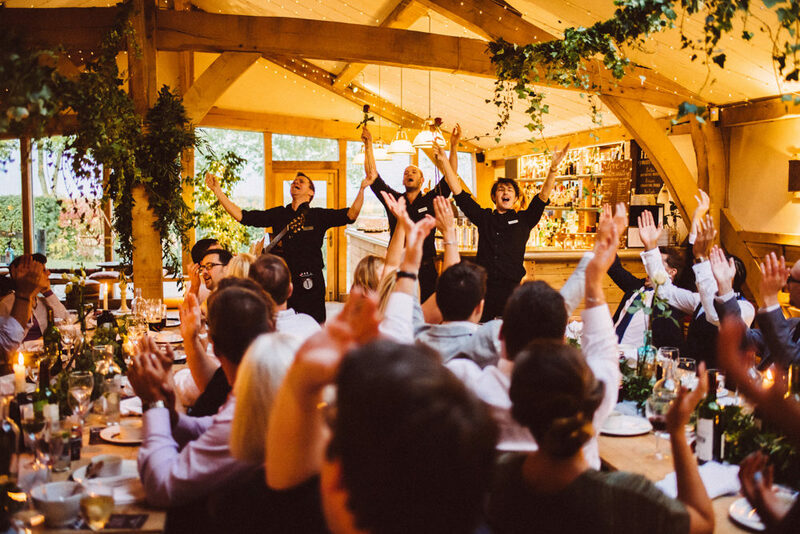 Wedding entertainment doesn’t get more fun than the singing waiters. Sadly I’ve never experienced them in real life, but they clearly bring all the feel-good-vibes and totally liven up the atmosphere. 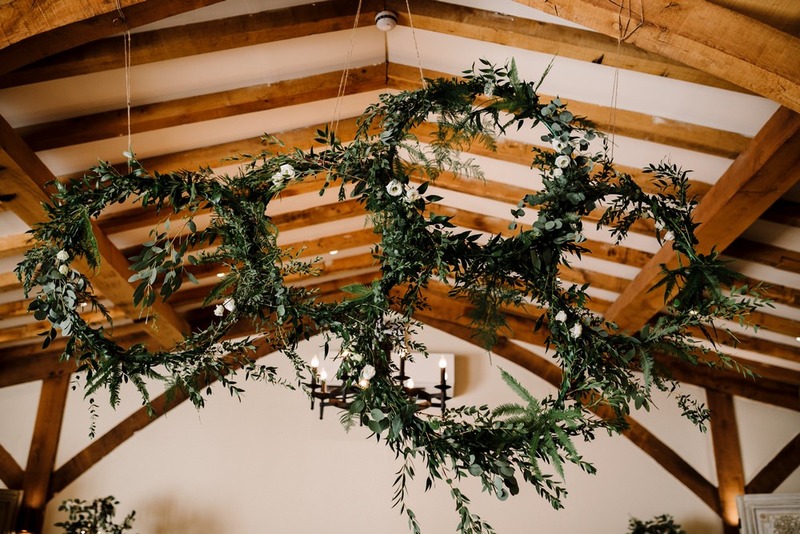 Not that Gabby and James needed much help with that…as seasoned travellers and creatives, they pulled off the most gorgeous wedding day at Cripps Barn, that looked as good to guests as it felt. 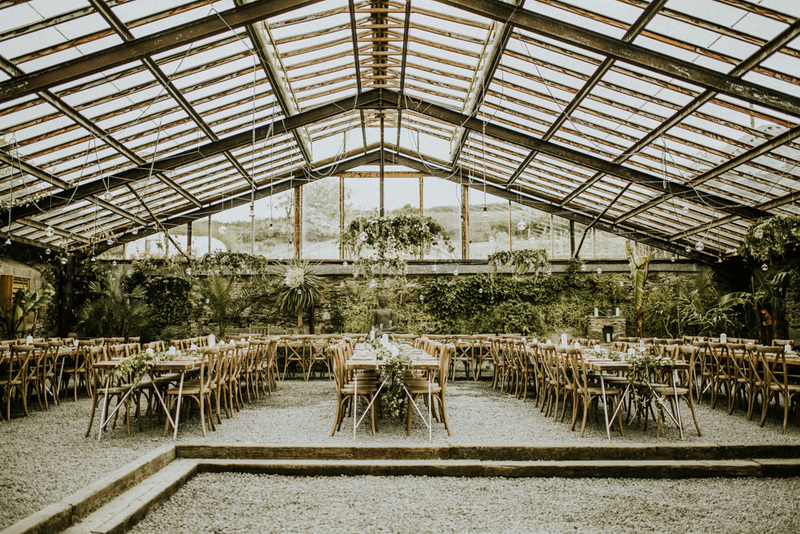 This beautiful glasshouse wedding at Anran in Devon will have you seriously swooning. The details, the fashion choices and the venue itself are all utterly gorgeous. Images come from the wonderful Paige Grace Photography, whose dreamy style works perfectly for this idyllic location. We also have the film from The Wild Bride which is absolute worth a watch, save it for your tea break, turn it up loud and enjoy! We’ve fallen hard for this intimate greenery wedding. Partly because of all the foliage and flowers complimenting this wonderfully rustic stone barn. The hanging hoop installation in particular is Pin-tastic and not to be missed. And secondly because of all the adorable moments captured of our lovely couple by super talented Amy Faith Photography. You definitely want to take five to swoon over bride Viola’s fitted St Patrick Gown too. Clean sleek lines, and an exquisite low back detail framed in sequins, and buttons. Very reminiscent of Ms Meghan Markle’s elegant bridal gowns. Plus there’s some bridal advice and planning tips not to be missed. If you’re in need of more planning advice, be sure to check out our Podcast too, where both our latest episodes cover the guest list, and how to save money. Everything about Italy is simply breathtaking. Take the romantic church this gorgeous couple chose to marry at for a start, gorgeous stonework, stunning architecture and picturesque views that go on for miles. The reception at the family home isn’t too shabby either ????. The table scape and decor of the reception perfectly mirrors the surrounding beauty and natural elements, think greenery, berries and rustic wooden calligraphy signs all culminating in the chicest of celebrations. Bride Agnese looks like a modern day princess too in her Luisa Beccaria gown. There is nothing this dress doesn’t feature; pleats, lace, a gorgeous silhouette, it’s no wonder she’d fallen in love with the designers work before she was engaged. 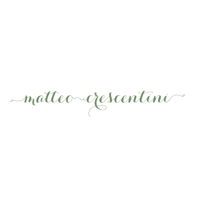 I have included lots of images of both the dress, styling and views by the very talented Matteo Crescentini Photography so you can swoon over and pin. Every. Last. 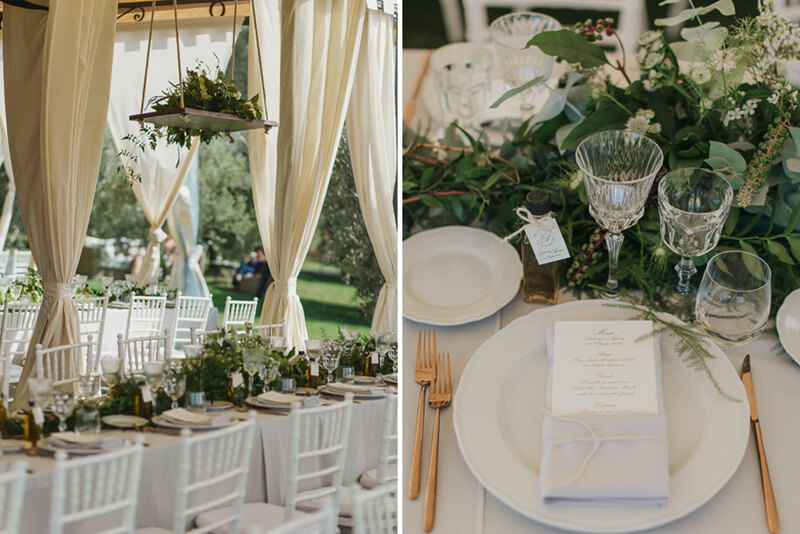 Detail of this authentic Italian wedding day, because believe me you’re going to want to! 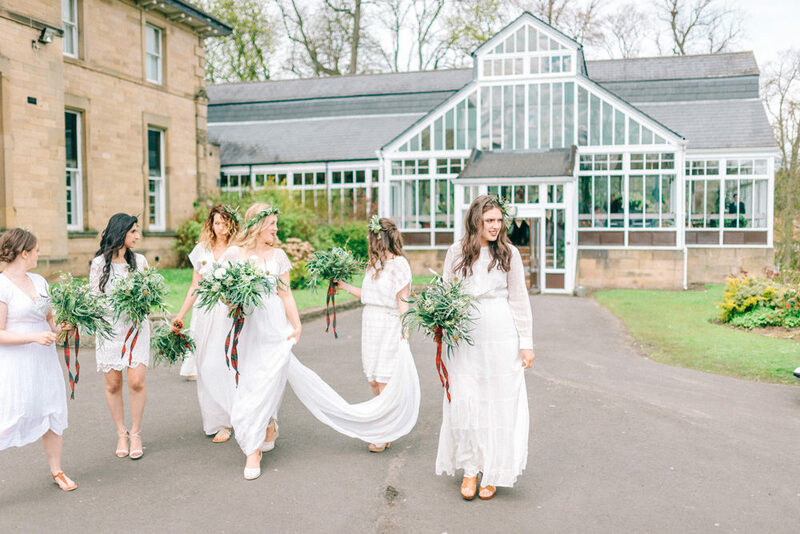 Bride Lotty had a clear vision to fill her dry hire venue The Winter Gardens in Northumberland with greenery, and oh my the results are spectacular. Wildflower florist along with her family and friends absolutely transformed the glasshouse into a botanical haven. Complimented beautifully with crisp white maids in mis-match dresses from the high street, and Mumford & Sons inspired Groomsmen outfits of tweed and tartan adding a boho edge. Lotty also bravely ordered her gown from the internet. But if there was ever a dress more fitting for a Bride it’s definitely her Grace Loves Lace Emme gown. She looks absolutely stunning. Topped off beautifully with a heavenly flower crown. 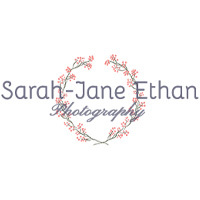 This gorgeous couple nearly didn’t have a photographer until they stumbled across The Love Lust List recommended supplier Sarah-Jane Ethan’s fabulous work. And we’re SO glad they did as we now get to share their Pin-spirational day with you lovelies. 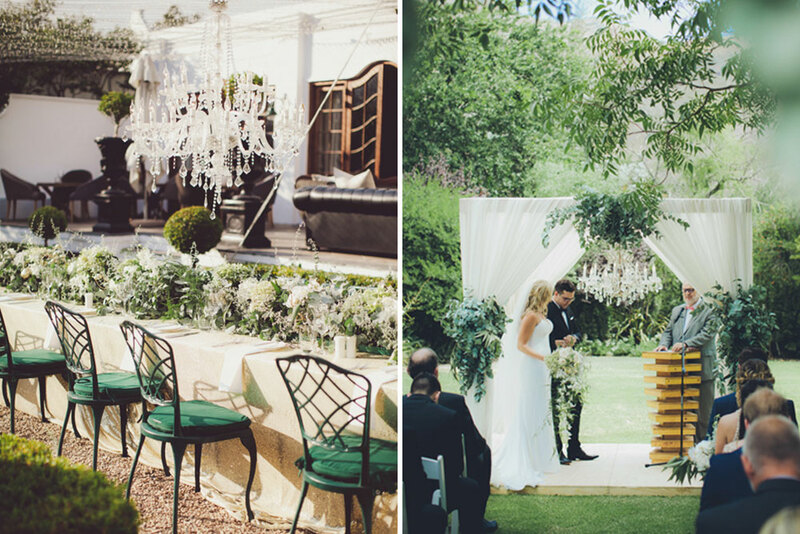 Where to start with this incredibly beautiful and intimate gold and white celebration in Cape Town…? I know the lighting. Have you ever seen such an incredible setting? The chandeliers are beautiful, the fairy lights magical and the atmosphere is. Just. Wonderful. Finished beautifully with an abundance of greenery and gold details. The whole look is so opulent and cosy, and just screams elegance. I absolutely adore the outdoor ceremony in the garden of the Winery too, conducted by the grooms father to give a personal touch, and culminating in clinking of champagne glasses with guests as the bride and groom walked back down the aisle as husband and wife. Fiona Clair Photography never fails to captured all the love and inspiration which is good for us as this destination wedding is PIN-tastic!